There are 5 basic script styles in Chinese Calligrahpy, and hunderds of sub-styles. Do you feel confused when seeing different script styles? Do you know why they are different from each other? Let's learning something about the History and characteristic of the five basic script styles, then, you will find you could have a better understanding of Chinese Calligraphy. Because of its univromity of stroke style, learners have little chance to learn different skills of how to control the brush. It could be the starting point of calligraphy learning, but it is not the best choice for calligraphy beginners. 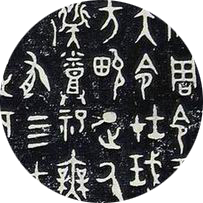 Seal Script is considered to be an "ancient" script, so it is hard to be read. Because this script was originally incised on other materials, its strokes have no variation and are highly uniformed in stroke width. 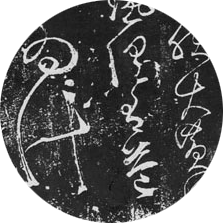 Seal Script appeared the Qin Dynasty (221 BC–206 BC), considered to be the first script. Evolving from oracle bone script, Seal Script took the form of pictograms and ideographs, and was incised onto surfaces of jades and oracle bones, as well as, srufaces ritual bronze vessels. Today, this style is used predominantly in seals (name chops). It is possible but not recommended for calligraphy beginners to choose this script. Because strokes in are still uniformed. Clerical Script is easy to learn but not helpful for learners to build a solid foundation for further learning. 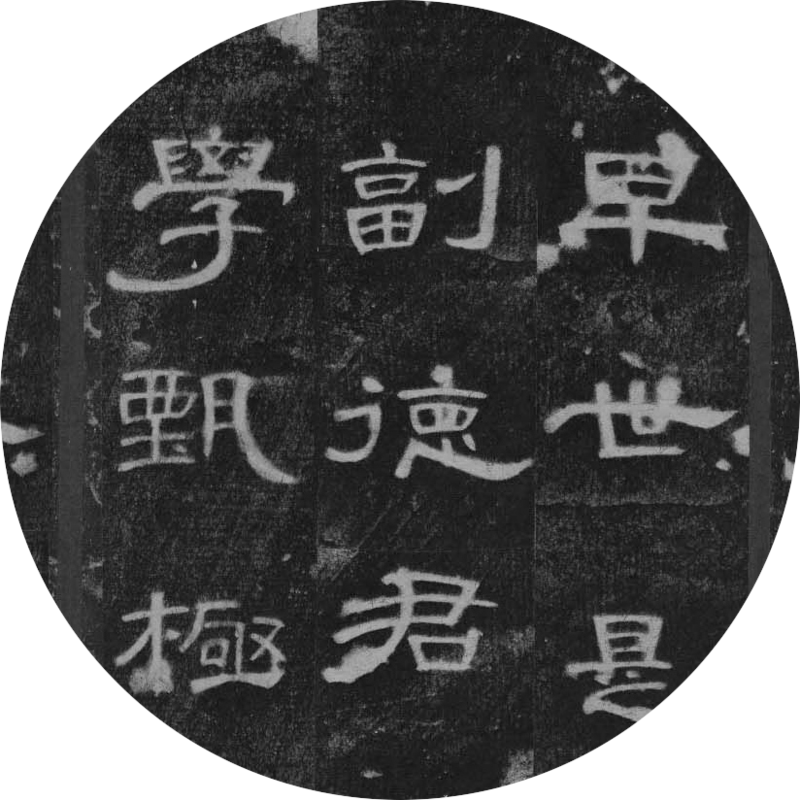 Clerical Script characters are often "flat" and wider than those in Seal Script and Regular Script. 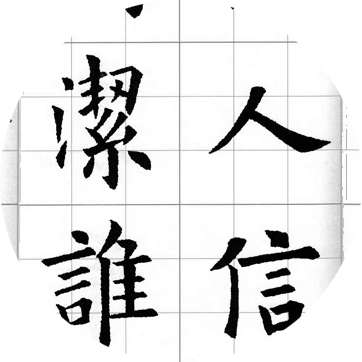 Compared to Seal Script, Clerical Script gave brush freer rein, and strokes vary in width. In this script, the characteristic stroke is famously called 'silkworm head and wild goose tail' due to its distinctive shape. 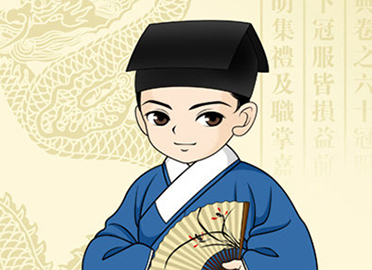 The Clerical Script appeared by the later Han Dynasty (2nd century A.D.) and was used by government clerks. In the Han, flexible hair brushes came into regular use, their supple tips produced effects that were not attainable in incised characters in Seal Script. 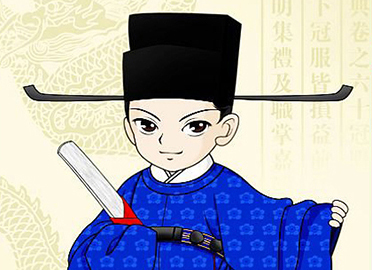 To learn this script, it is necessary to master Regular Script and Running Script. Never start calligraphy learning from Cursive Script. Entire characters may be written without lifting the brush from the paper at all, and frequently flow into one another. Strokes are modified or eliminated completely to facilitate smooth writing and to create a beautiful, abstract appearance. Characters are highly rounded and soft, with a noticeable lack of angular lines. When writing in this script, calligrapher has more freedom to express their feeling. 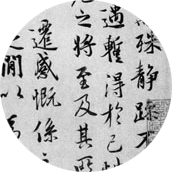 The Cursive Script originated in the Han, as a natural evolution and response to the aesthetic potential of brush and ink. As a fully crusive script, characters in Cursive Script with drastic simplifications require specialized knowledge to be recognized. The master of Regular Script is necessary before learning this script. And this script is a good preparation for learning Cursive Script. In Running Script, the brush leaves the paper less often than in the Regular Script. Characters appear less angular and rounder. In Running Script, it is more flexible and freer to express one's own feeling when writing. 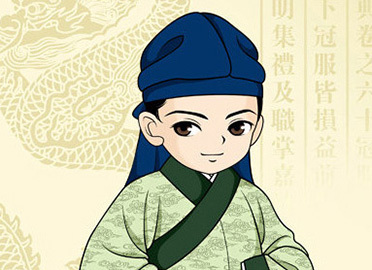 Running Script(also called "semi-cursive script") developed in the Han. There is less constriction for calligrapher when writing in this script: strokes and, more rarely, characters are allowed to run into one another. Because calligraphers can use brush and write on paper instead of carving characters in stone or bone. Today, this is the most commonly used script in everyday life. Regular Script is usually studied first to give learners a feel for correct placement and balance, and to provide a proper base for other more flowing styles. Learning this script, learners will gain enough skills about how to control the brush. In Regular Script, strokes are placed slowly and carefully, and distinct from each other. Each brushstroke is clearly articulated though a complex series of brush movements. These brushstrokes are integrated into a dynamically balanced whole. Regular Script, the final script type (also known as "standard script"), evolved, as the individual brushstrokes of Clerical Script were inflected with the more fluid and asymmetrical features of Cursive Script. Regular Script is the most easily and widely recognized style. This is the script used for textbooks. 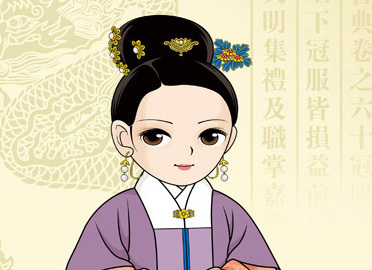 You have five friends from the acient China. They have their calligraphy works in totally diferent styles. But, now their pieces of works are blended together. Could you help your friends find their calligraphy works back? Please drag each piece of calligraphy below to match its owner, based on the story of each friend. his good and noble deeds. his crazy calligraphy style when he was drunk. Once a time, he wrote something when his tummy hurt. 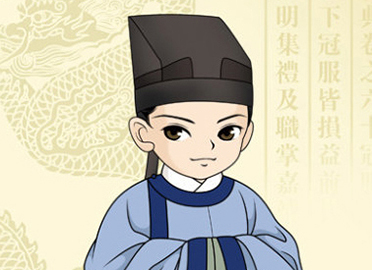 Once a time, Wang Xizhi gathered with his literati friends at the Orchid Pavilion, composing poems and enjoying wine. A little drunk, he wrote a preface to their poem collection, which became the best known piece of calligraphy in history.